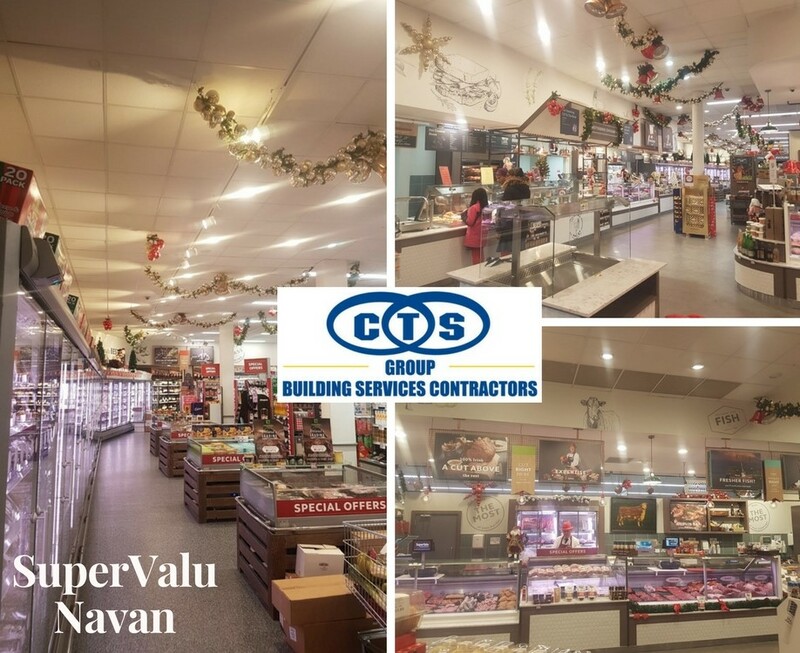 As part of the SuperValu investment to revamp their network of stores CTS Group continue to be their trusted Mechanical and Electrical specialists. The SuperValu store in Johnstown Shopping Centre, Navan was next to have its electrical installation which included a new and improved LED lighting, emergency lighting and a distribution board to cover the extra demand of services from the off licence, new deli and new scratch bakery. In the interest of the safety of staff and customers alike, a new fire alarm system was also installed in the new butchery, deli and scratch bakery area. A complete rewire of electrical, security, CCTV and data services was also required for the relocated customer service and cash registries. Included in the installation was new water services, supply and extraction ventilation, plus gas pipework for the new deli, butchery and scratch bakery.